Article 7 - Rooms Tax - to impose a tax on summer rental homes. This will require the state legislature to approve it prior to any collection of taxes. This could affect 2016 rentals, not 2015. We've seen (and turned down) this article before. The tax would be 4%. Article 8 - Municipal Water - this article will fund the remainder of the municipal water system. So-called Phase 1 was funded last year. The article appropriates $85M for the remainder of the system. Needs a 2/3 vote. Article 16 - Private Road Plowing - approves the plowing of some private roads in Town. Roads will need to 'qualify' to be eligible for plowing. Article 17 - Hay Rd - this article accepts a portion of Hay Rd as a Town road, the segment from Gov. Prence to Deacon Paine. Article 18 - Vehicles on Beaches - the article is needed to make progress on the crazy discussions about driving 4-wheel vehicles on the Eastham portion of Nauset Spit. This has been an on-going dispute between Eastham and Orleans concerning a section of beach north of Orleans' Nauset Beach and south of Coast Guard Beach. It's not clear that this article, if passed, will resolve the dispute, but it should help. Article 30 - Marijuana - this article bans the public consumption of marijuana in Eastham and establishes first offense and multiple offence fines. The warrant, all 36 pages, is online on the Eastham Town website,.. Here. I'll try to provide an update on the 'results' of the meeting on my Blog and in next month's newsletter. 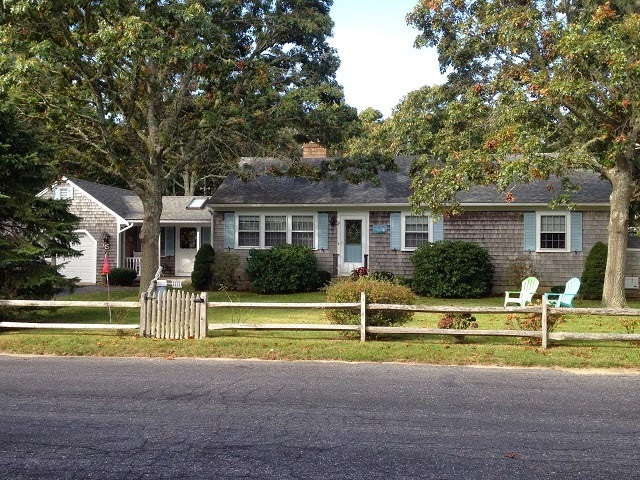 EASTHAM - New Listing - This 3 bedroom Cape is a hidden gem. Great location & curb-appeal and well maintained. Open kitchen & dining area and a separate living room. Full basement. Hardwood floors, updated bathroom. Half acre level property in a great location - about 0.8 miles to Campground Beach. This is a gem, waiting to be found! Listed at $429,000. Check out this listing at http://285MassasoitTrail.robertsheldon.com for more photos and a map. A Virtual Tour can be found ... Here. 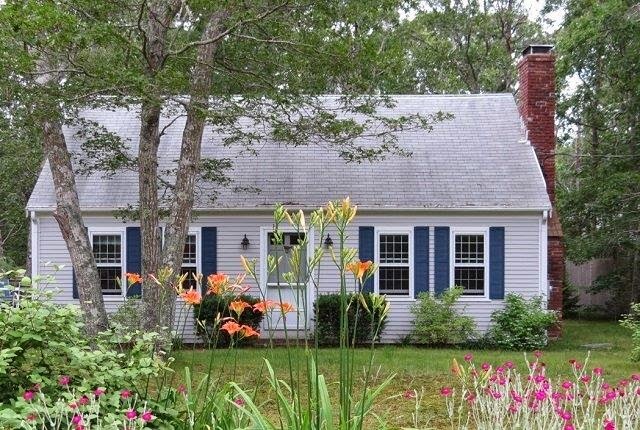 EASTHAM - New Listing - This is a delightful 3 bedroom, 2 bath, ranch with lots of updates. Check out the granite and stainless kitchen, bright sunroom, living room with fireplace, 1 car garage, large deck and back yard. Well maintained and a joy to enjoy! Listed at $429,000. Check out this listing at http://45NorthFortyRd.robertsheldon.com. For more photos and a map. A Virtual Tour can be found ... Here. My Eastham 1st Quarter 2015 Market Report - Available Now! My May 2015 market report is available now! This issue has my 1st quarter 2015 Eastham market report, a preview of next month's Town Meeting, an update on the natural gas moratorium, and a fun article on being a Cape Codder. Additionally, there are 3 new listings. This newsletter has been published every month for over 12 years. My aim, with this newsletter, is to provide accurate sales and market information about the Eastham housing marketplace, to add commentary and opinion (as appropriate), and to keep it interesting. Download your copy of my May newsletter now. 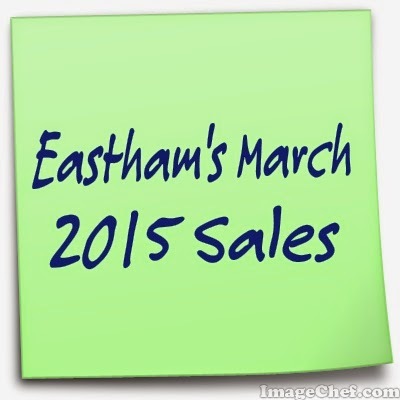 Eastham's March 2015 Sales - Good 2015? There were 11 homes sold in Eastham in March. Total March sales were $6.4M - with an average sale price of $579K and a median sale price of $405K. There are currently 92 active single family listings in Eastham, with an average list price of $575K and a medium price of $464K. The average days-on-market is currently 274 days (Ouch!). For more details, graphs, and commentary, download my latest monthly Eastham newsletter -- here. I've been publishing this newsletter for over 12 years with the goal of providing market information to my clients, so they may approach the market from a more informed position. Check it out!